Hey idiots, can you please stop eating these. You're giving the human race a bad name. 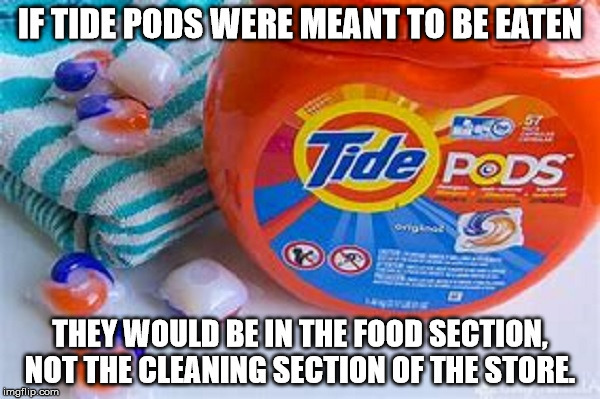 IF TIDE PODS WERE MEANT TO BE EATEN; THEY WOULD BE IN THE FOOD SECTION, NOT THE CLEANING SECTION OF THE STORE.